For the real-life battleship, see Russian battleship Potemkin. The Battleship Potemkin (Russian: ñññ –«ññ–», Bronyenosyets Potyomkin), sometimes rendered as The Battleship Potyomkin, is a 1925 silent film directed by Sergei Eisenstein and produced by Mosfilm. It presents a dramatised version of the mutiny that occurred in 1905 when the crew of the Russian battleship Potemkin rebelled against their officers of the Tsarist regime. The Battleship Potemkin has been called one of the most influential propaganda films of all time, and was named the greatest film of all time at the Brussels World's Fair in 1958. The film is in the public domain in some parts of the world. "The Rendez-Vous with a Squadron" (ññññ ñ ñññ), in which the squadron tasked with stopping the Potempkin instead declines to engage, and its sailors cheer on the rebellious battleship. Eisenstein wrote the film as a revolutionary propaganda film, but also used it to test his theories of "montage". The revolutionary Soviet filmmakers of the Kuleshov school of filmmaking were experimenting with the effect of film editing on audiences, and Eisenstein attempted to edit the film in such a way as to produce the greatest emotional response, so that the viewer would feel sympathy for the rebellious sailors of the Battleship Potemkin and hatred for their cruel overlords. In the manner of most propaganda, the characterization is simple, so that the audience could clearly see with whom they should sympathize. Eisenstein's experiment was a mixed success; he "was disappointed when Potemkin failed to attract masses of viewers", but the film was also released in a number of international venues, where audiences responded more positively. In both the Soviet Union and overseas, the film shocked audiences, but not so much for its political statements as for its use of violence, which was considered graphic by the standards of the time. The film's potential to influence political thought through emotional response was noted by Nazi propaganda minister Joseph Goebbels, who called Potemkin "a marvelous film without equal in the cinema ... anyone who had no firm political conviction could become a Bolshevik after seeing the film." The boots of the Tsarist soldiers shown marching down the "Odessa Steps"
The most celebrated scene in the film is the massacre of civilians on the Odessa Steps (also known as the Primorsky or Potemkin Stairs). In this scene, the Tsar's Cossacks in their white summer tunics march down a seemingly endless flight of steps in a rhythmic, machine-like fashion firing volleys into a crowd. The victims include a young boy and a mother who is pushing a baby in a baby carriage. As she falls to the ground, dying, she leans against the carriage, nudging it away; it rolls down the steps amidst the fleeing crowd. The massacre on the steps is fictional, presumably created by Eisenstein for its dramatic venue and effect, as well as for propaganda and to demonise the Tsar and the Imperial regime. It is, however, based on the fact that there were widespread demonstrations in the area, sparked off by the arrival of the Potemkin in Odessa Harbour, and both The Times of London and the resident British Consul reported that troops fired on the crowds with accompanying loss of life (the actual number of casualties is unrecorded). Roger Ebert writes, "That there was, in fact, no czarist massacre on the Odessa Steps scarcely diminishes the power of the scene ... It is ironic that [Eisenstein] did it so well that today, the bloodshed on the Odessa steps is often referred to as if it really happened." The painter Francis Bacon called this The Battleship Potemkin image a catalyst for his work. The scene is perhaps the best example of Eisenstein's theory on montage, and many films pay homage to the scene, including Terry Gilliam's Brazil, Francis Ford Coppola's The Godfather, Brian De Palma's The Untouchables, Tibor Takacs' Deathline, Laurel and Hardy's The Music Box, George Lucas's Star Wars Episode III: Revenge of the Sith, Chandrashekhar Narvekar's Hindi film Tezaab, ShukÅ Murase's anime Ergo Proxy and Peter Sellers' The Magic Christian. Several films spoof it, including Woody Allen's Bananas and Love and Death, "Australia", Zucker, Abrahams, and Zucker's Naked Gun 33–: The Final Insult, Soviet-Polish comedy Deja Vu and the Italian comedy Il secondo tragico Fantozzi. The late-1990s American historical cartoon Histeria! also references the film in its 27th episode about the Russian Revolution. The Irish born painter Francis Bacon (1909–1992) was profoundly influenced by Eisenstein's images, particularly the Odessa Steps shot of the schoolmistress's broken glasses and open mouthed scream. The open mouth image appeared first in his Abstraction from the Human Form, in Fragment of a Crucifixion, and other works including his famous Head series. After its premiere in the Soviet Union, Potemkin was shown in the United States. It was shown in an edited form in Germany, with some scenes of extreme violence edited out by its German distributors. A written introduction by Leon Trotsky was cut from Soviet prints after he ran foul of Joseph Stalin. The film was banned in Nazi Germany, Britain (until 1954 and X-rated until 1978), France, and other countries for its revolutionary zeal. It was even banned in the Soviet Union for a short period when the Comintern, under Stalin's Socialism in One Country policy, ceased to promote world revolution and mutiny among the navies of capitalist countries. Today, the film is widely available in various DVD editions. However, in 2004, a three-year restoration of the film was completed. Many excised scenes of violence were restored, as well as the original written introduction by Trotsky. The previous titles, which had toned down the mutinous sailors' revolutionary rhetoric, were corrected so that they would now be an accurate translation of the original Russian titles in the film. As a propaganda film, Eisenstein declared his wish that the score should be rewritten every 20 years, in order to retain its relevance to each new generation. The original score was composed by Edmund Meisel. A salon orchestra performed the Berlin premiere in 1926; its instrumentation was flute/piccolo, trumpet, trombone, harmonium, percussion and strings without viola. Meisel wrote the score in twelve days and nights due to the late approval from the censorship board. Due to this problem, Meisel would repeat large sections of the score, unchanged, in an effort to complete the project. Composer/conductor Mark-Andreas Schlingensiepen has reorchestrated and improved the score based on the original piano score and has adjusted it to fit the reconstructed version of the film available today. In 1986, Eric Allaman wrote an original electronic score for a showing that took place during the Berlin Film Festival of that year. The music was commissioned by the organizers who wanted to commemorate the 60th anniversary of the picture's German premiere (which at that time was attended by the likes of Charlie Chaplin, Mary Pickford and Douglas Fairbanks). The score was only featured at this premiere and has not been released either on CD or DVD. Contemporary reviews very largely positive with only a couple of negative remarks that were based on the fact that the music was electronic and not symphonic. Allaman wrote an opera about Battleship Potemkin in the mid-90s, but this venture is musically separate from the film score. In its commercial format (on DVD, for example) the film is usually accompanied by pieces of classical music that have been subsequently added for its 50th anniversary edition re-release as it was created in 1975; Dmitri Shostakovich and Nikolai Kriukov are two composers whose works have been used. In 2007 Del Rey & The Sun Kings also recorded this soundtrack. It is commercially available on CD and DVD. In an attempt to make the film relevant for the 21st century, Neil Tennant and Chris Lowe (of the Pet Shop Boys) composed a new soundtrack in 2004, accompanied by the Dresden Symphonic Orchestra. Their soundtrack, released as Battleship Potemkin in 2005, was premiered in September 2004 at an open-air concert in Trafalgar Square, London. There were four further live performances of the work with the Dresdner Sinfoniker in Germany in September 2005 and one at the Swan Hunter ship yard in Newcastle upon Tyne on May 1, 2006. The only other live performance of this piece took place on January 11, 2008, at the Barbican Center in London. The avant-garde jazz ensemble Club Foot Orchestra has also re-scored the film, and performed live in accompaniment to the film. For the most recent restoration of the film, under the direction of Enno Patalas in collaboration with Anna Bohn, released in 2010 on DVD and Blu-ray, the Deutsche Kinemathek - Museum fur Film und Fernsehen, commissioned a re-recording of the original Edmund Meisel score, performed by the Babelsberg Orchestra, conducted by Helmut Imig. In 2007, a two-disc, restored version of the film was released on DVD. Time magazine's Richard Corliss named it one of the Top 10 DVDs of the year, ranking it at #5. Ranked #3 in Empire magazines "The 100 Best Films Of World Cinema" in 2010. ^ "The Battleship Potemkin" at the Internet Archive. Retrieved August 2, 2009. ^ Neuberger, Joan (2003). Ivan the Terrible. New York: I.B. Tauris & Co. Ltd.
^ "Triumph of the Will". www.historytoday.com. http://www.historytoday.com/MainArticle.aspx?m=13840&amid=13840. Retrieved 2006-07-30. ^ "During the night there were .. fierce conflicts between the troops and the rioters. The dead are reckoned in hundreds." See "Havoc in the Town and Harbour", The Times, 30 June 1905, p. 5. 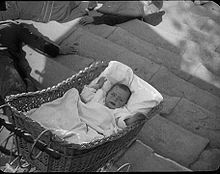 ^ ":: rogerebert.com :: Great Movies :: The Battleship Potemkin (xhtml)". Rogerebert.suntimes.com. http://rogerebert.suntimes.com/apps/pbcs.dll/article?AID=/19980719/REVIEWS08/401010302/1023. Retrieved 2010-03-06. ^ "Episode 27 The Russian Revolution". Encyclopedia Histeria!. http://www.angelfire.com/tv/enhist/guide/episodes/27_russianrev.html. Retrieved 2009-07-07. ^ Peppiatt, Michael (1996). Francis Bacon: Anatomy of an Enigma. London: Weidenfeld & Nicolson ISBN 0297816160. ^ "Case Study: Battleshgip Potemkin, Students' British Board of Film Classification website". Sbbfc.co.uk. http://www.sbbfc.co.uk/CaseStudies/Battleship_Potemkin. Retrieved 2010-03-06. ^ "The 100 Best Films Of World Cinema". Empire. http://www.empireonline.com/features/100-greatest-world-cinema-films/default.asp?film=3. 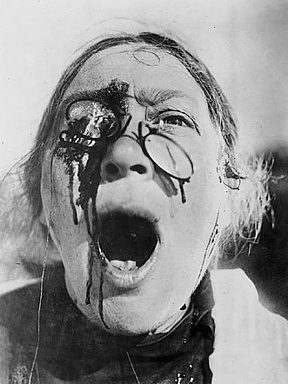 "Battleship Potemkin". Senses of Cinema.com. http://www.sensesofcinema.com/contents/cteq/00/4/potemkin.html. Retrieved 2006-01-22.